1. 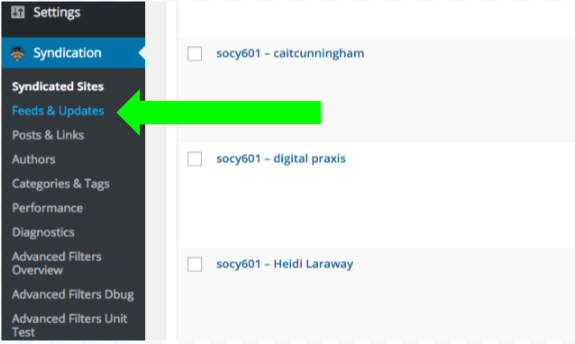 Identifying the blog from which posts will be syndicated. Students “sign-up” so their blog is connected to your course site. 2. Filtering and sorting posts based on the categories that have been assigned. Students may be using their blog for multiple courses, so you probably want them to add a basic category to their posts so that only relevant material appears on your site. Typically this category will be your unique course/section number. 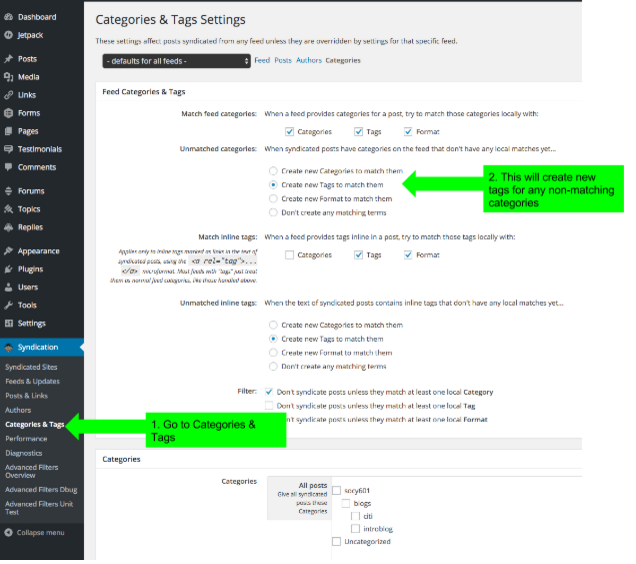 You can also add subcategories to further sort posts, by specific assignment, for example. Copy and paste the appropriate shortcode below (including brackets) on the sign-up page you’ve created. Make sure you’re in text view. The category you define here will be the category created on each student’s site. They MUST use that main category to get their content to show up on your site. Category names should be UNIQUE to all rampages sites. if you just want one category, replace “some-category” with whatever category name you want to use and paste the following text into your page. [altlab-motherblog category=”some-category” sub_categories = “cat1, cat2, cat3, cat4” ] Now publish your page.